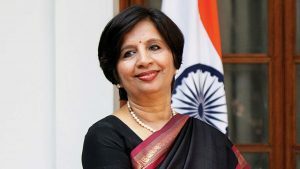 Colombo, February 8 (newsin.asia): Wednesday’s stunning performance by a symphony orchestra comprising Sri Lankan and Indian musicians under the baton of Indo-American Viswa Subbaraman, led the audience to believe that it was time South Asia, torn by conflicts for the last 70 years, eschewed animosities and conflicts and got together to revive those strands of South Asian history which had made the region a unique and vibrant cultural entity. 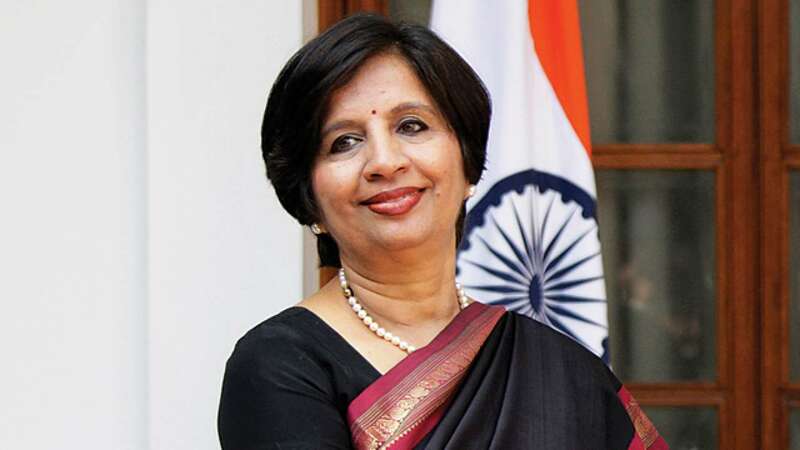 The need for using music to build bridges was stressed by the person who made “Music Beyond Borders” possible – Nirupama Rao, former High Commissioner of India to Sri Lanka, Ambassador to the US and Foreign Secretary of India – in her introductory remarks at the concert held at Ladies College in Colombo under the auspices of the Indian Cultural Centre in Colombo and the Symphony Orchestra of Sri Lanka. A music lover who learnt Western classical music under Soundarie David of Soul Sounds, Colombo. Ambassador Rao had taken up the task of bridging divides through music after retirement from diplomacy. 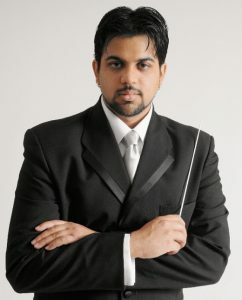 The idea of putting together a symphony orchestra of South Asian musicians germinated in the mind of the diplomat-turned musician after she met an equally creative mind in the US – the biologist turned orchestral conductor Viswa Subbaraman — an Indo-American who was experimenting with a combination of Beethoven and Bollywood. Rao and Viswa struck a friendship which led to the formation of a South Asian symphony orchestra. At present it has only Sri Lankan and Indian musicians. The Sri Lankan musicians, who form the bulk, are drawn from the Symphony Orchestra of Sri Lanka (SOSL) and the eight players are from the Bombay Symphony Orchestra. . But Rao is keen on expansion with players from Afghanistan, Pakistan, Nepal, Bhutan and Bangladesh. She appealed to the envoys present at the concert to help attract musicians to the orchestra from their respective countries. The performance on Wednesday opened with Rossini’s gripping La Cenerentola, based on the story of Cinderella. The majestic introduction with the bassoon and a trumpet yielded place to an Allegro theme suffused with fizz, charm and Italian elegance. The second theme had charming interludes by the clarinet, oboe and the piccolo which was followed by a melodramatic end showing the audience why Rossini is nicknamed “Signor Crescendo”. The Piano Concerto No: 27 in B Flat Major K.595 by Mozart played by Marialena Fernandes, an Indian pianist from Austria, was plaintive and moving with the soloist breathing life into the score and drawing sustenance from it at the same time. A lightly scored piece for piano, flutes, oboes ,bassoons and the horn, the concerto’s pervasive mood was subdued and somber although interspersed with moments of piquant playfulness and sudden loud interjections making the listeners sit up take notice. The piece de resistance was undoubtedly the last item, the rousing Symphony No: 7 by Beethoven. 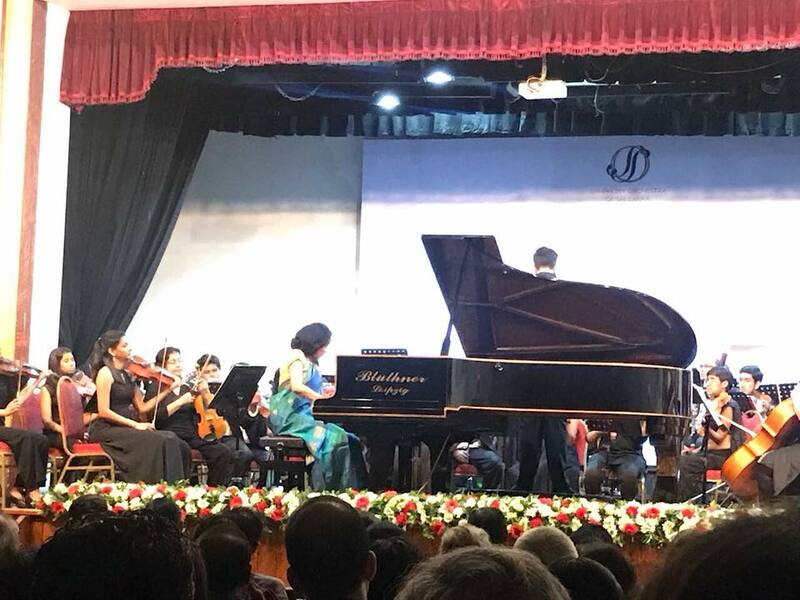 In this work, ably conducted at the concert by the ebullient and passionate Viswa Subbarman, Beethoven had brought out the fullness of instrumentation through considered harmonies and liberal doubling, deftly overcoming the handicap of having meager instrumental resources. There were pairs of flutes oboes, clarinets, bassoons, trumpets and the timpani and of course the strings, but little else. The finale which is akin to a “no-holds barred cavalry charge” had the audience at the edge of their seats. Subbaraman conducted the superbly trained young musicians with aplomb and infectious enthusiasm. The thunderous applause he got from the full house at the Ladies College in Colombo at the end was richly deserved. In his short speech, Subbaraman said that he enjoyed working with Sri Lankan musicians. His remark: “Sri Lankans are the nicest people, I’ve known,” which he made spontaneously, pleased the audience immensely. A firm foundation for future cooperation between musicians across South Asian borders had been well and truly laid.